To make the blue cheese dip place the cheese into a bowl and using a fork mash it to form a paste. Add all the other ingredients, bar the salt and whisk to combine well. Taste and add more salt if necessary. 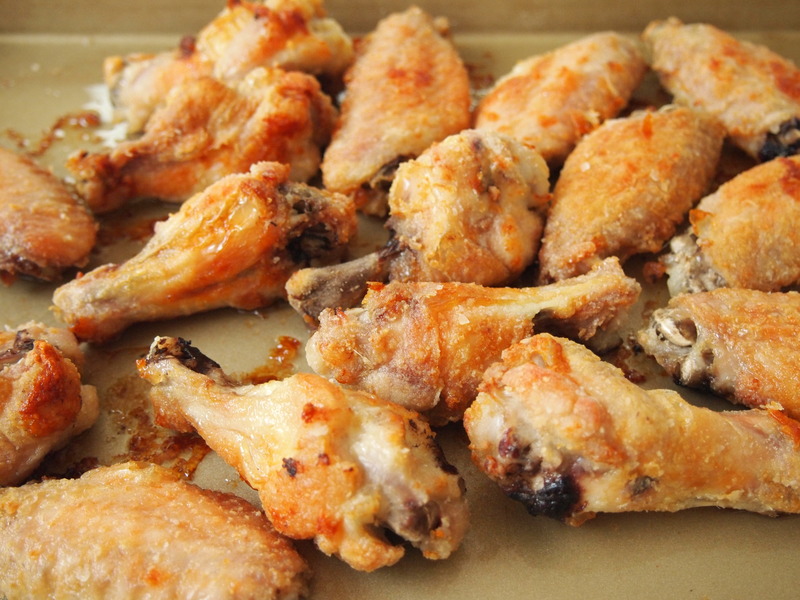 To make the wings preheat oven to 200C. 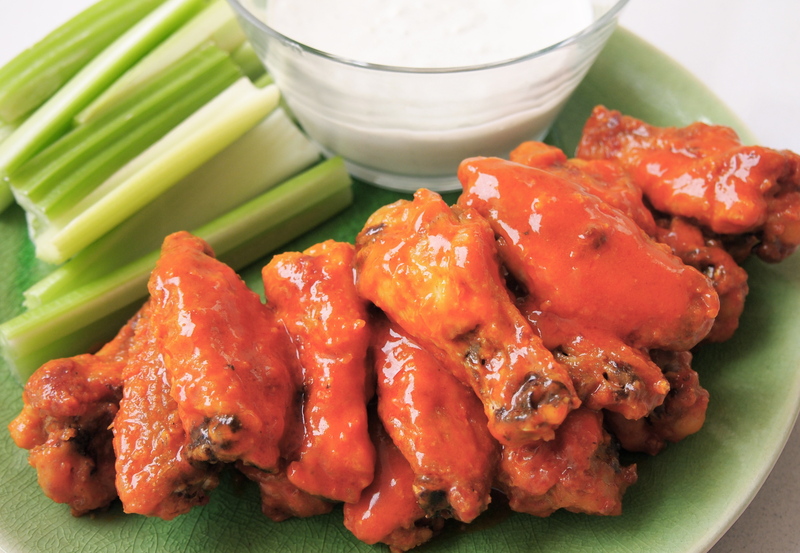 Drizzle the oil onto a baking sheet and spread to coat the bottom. 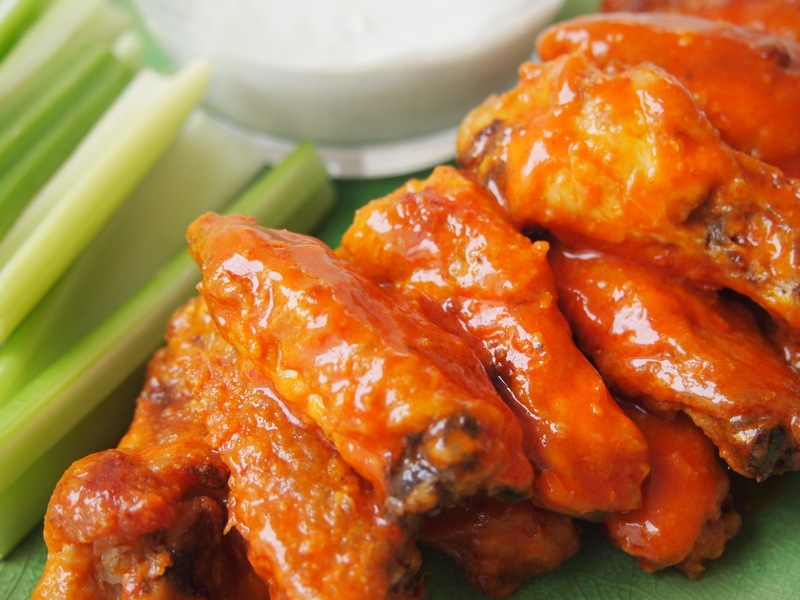 Rinse the chicken wings and pat dry. 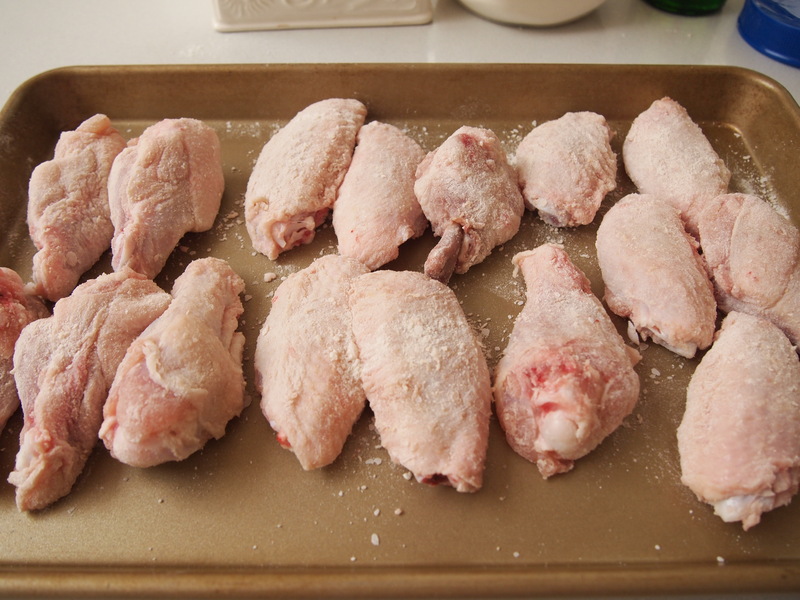 Season well with salt and pepper and coat each wing in flour. Place on the baking sheet and bake for 25 minutes. Turn the chicken pieces over and bake for a further 15 minutes until both sides are golden and crispy. 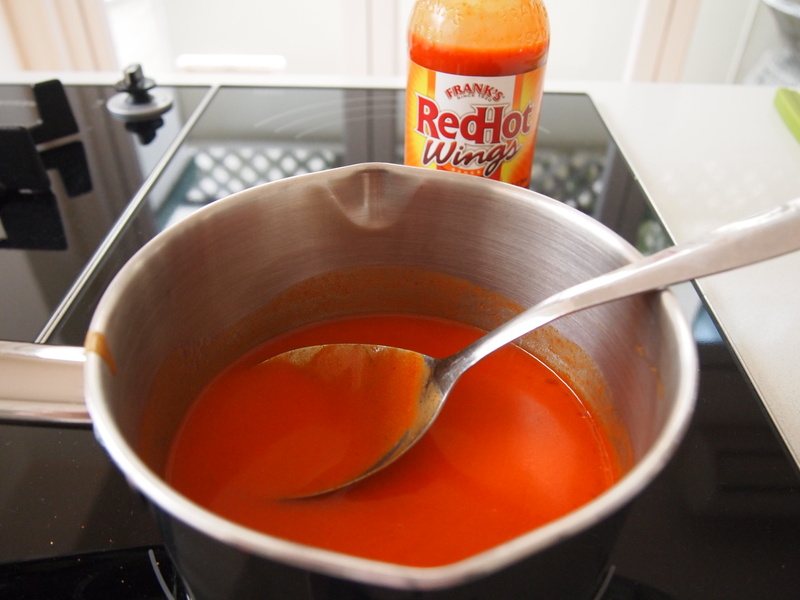 Whilst the wings are cooking place the hot sauce and the butter in a small saucepan and heat until the butter has just melted. Remove from the heat and add the worcestershire sauce and some cayenne pepper if you like it spicier. Mix well to combine and set aside. 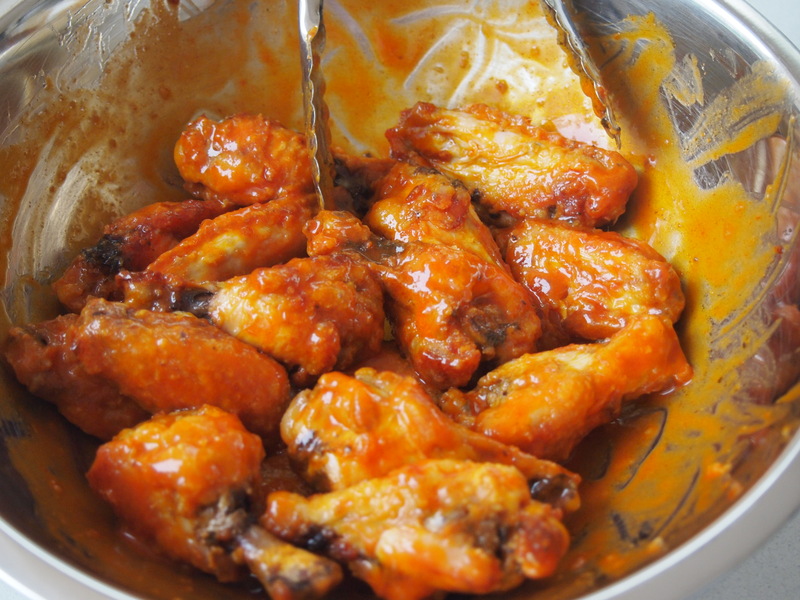 When the wings have finished cooking place them into a large bowl and whilst they are still screaming hot from the oven pour the hot sauce over them and toss to coat well with the sauce. 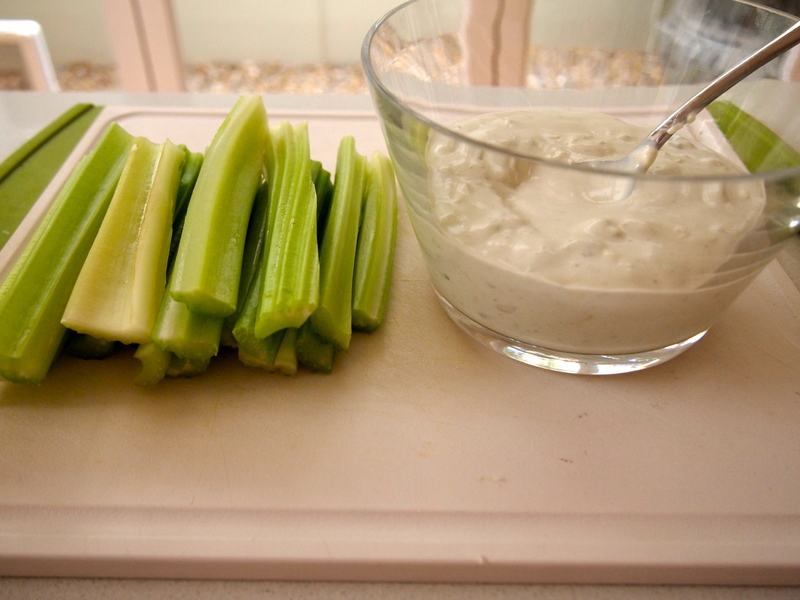 Place on a platter and serve with the blue cheese dip and celery sticks.